Hi there! 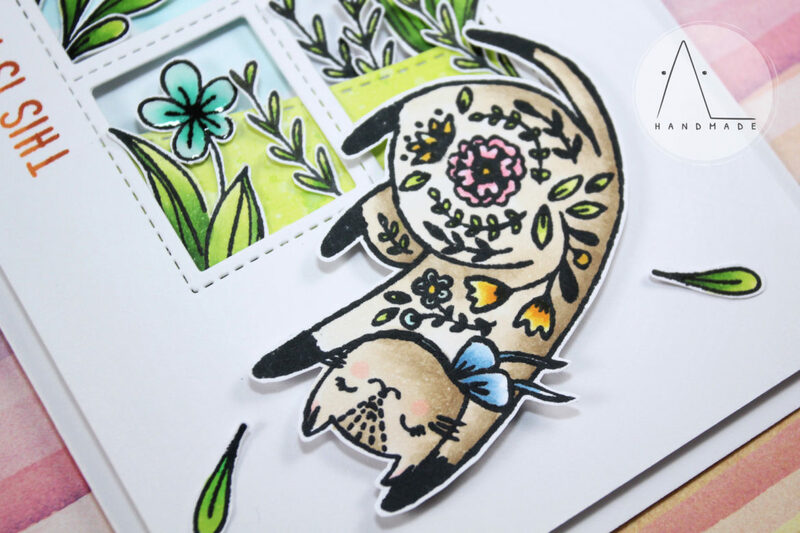 Today’s project features Flora Cat Play, a marvelous stamp set from Waffle Flower Crafts. I do love this stamp set! Not only because it’s all about cats, but also because it has a unique retro style. 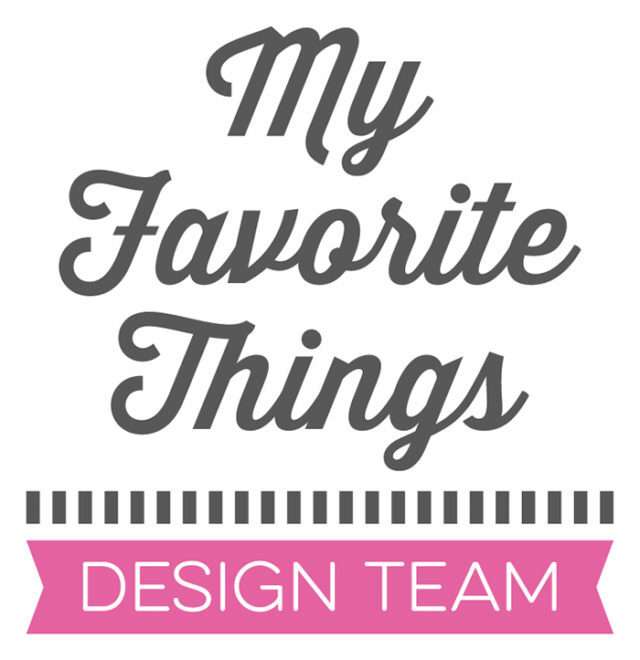 On my card panel I die cut a window using Framed Tags – Chelsea – Creative Cuts from Mama Elephant. For the background scene, I ink blended some Cracked Pistachio Distress Ink over the Stencil Cloud by My Favorite Things to create the sky. Then, I die cut a hill off ink blended cardstock using Landscape Trio Creative Cuts from Mama Elephant and placed it below the sky. 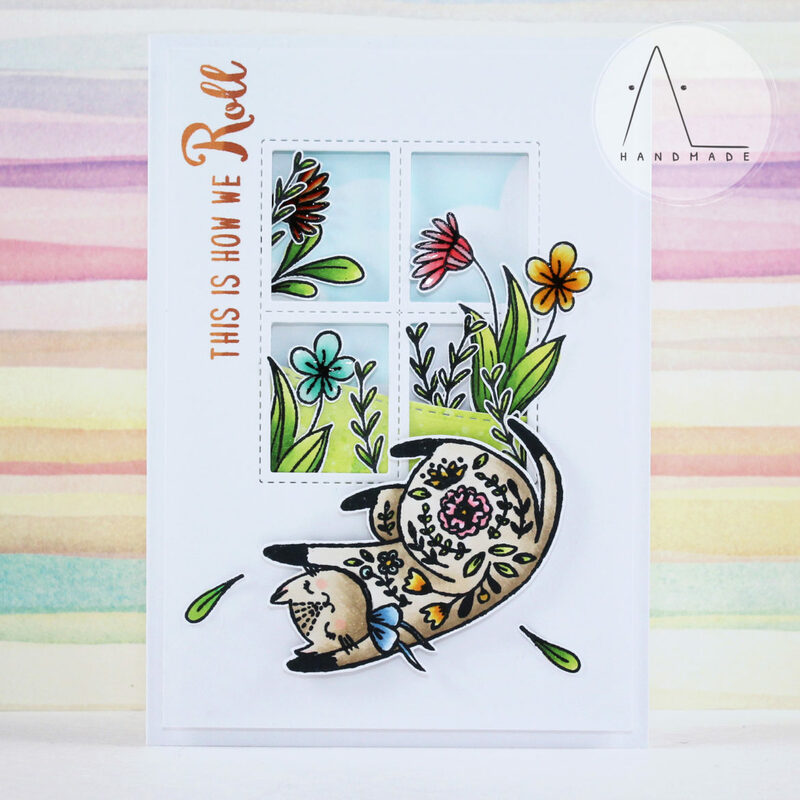 I foam mounted the flowers behind the window and added the snuggling cat at the bottom of my card. Finally, I stamped the sentiment directly on my card base inking my stamp half with Paper Bag Dye Ink and half with Caramel Toffee Dye Ink from Altenew, creating a cool gradient.